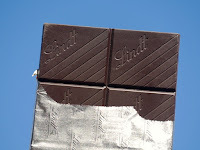 Welcome to the final day (Day #7) of Swiss Chocolate Week. 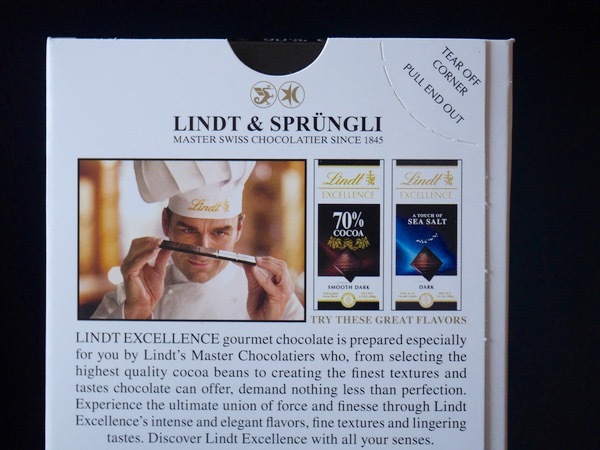 It would be unfair to exclude Lindt chocolate, for this might be the first Swiss Chocolate that many people in the U.S. taste. While bean-to-bar aficionados may move on to more bold, hand-hewn bars, there's something to be said for large manufacturing processes that can produce consistent flavor. 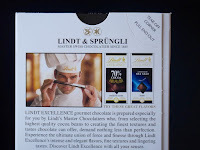 Lindt understands this end of the market, and the company has been producing chocolate since 1845. Among the many other accomplishments that Swiss chocolate makers contributed in the 1800s, Rodolphe Lindt has been credited with producing one of the first bars that was creamy and melted in a pleasant way on the tongue. 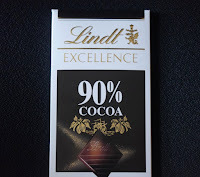 Today's 90% dark bar had a pleasant, sweet, roasted cocoa* aroma and had a flavor that was smoother and "sweeter" than most other bars that are this dark. 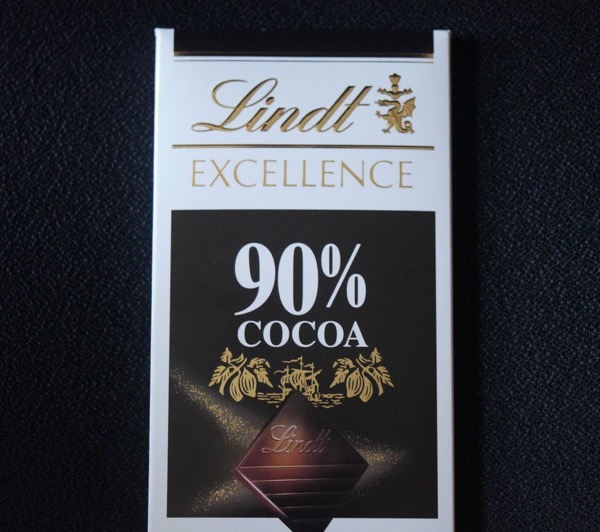 It had a creamy, uniform, chocolate flavor without some of the acidic or bitter harshness* that one might normally expect with a 90% bar. This is due in part to added cocoa powder that had been processed with alkali. This cuts acidity (and occasional sharpness due to less than optimal fermentation), and also helps boost the cocoa percentage. slight bitter aftertaste, that didn't kick in until about a minute after I swallowed the chocolate. *"Ingredients: chocolate, cocoa butter, cocoa powder processed with alkali*, sugar, bourbon vanilla beans."